A damning Ofsted report on the council at the centre of the Baby Peter case was changed 17 times, documents released by the courts show. Ofsted also told its inspectors looking at Haringey Council to delete e-mails on the case, although this was soon retracted, the papers indicate. Ex-Haringey executive Sharon Shoesmith, who is fighting her dismissal, claims documents were unfairly altered. Ofsted says reports are redrafted and the e-mail was an "honest mistake". 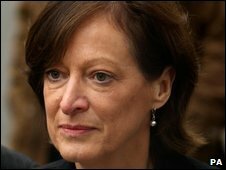 The High Court is expected to rule after Easter on the sacking of former head of Children's Services at Haringey, Ms Shoesmith. She says she was removed from her post unlawfully in December 2008, a week after the damning Ofsted report into child protection in Haringey. She claims Ofsted inspectors unfairly altered the report, to make it more critical of her personally. The report, in its final draft, concluded there was "insufficient strategic leadership and management oversight" in the safeguarding of local children. The 2,400 papers released, seen by the BBC, show this line was not in the first version of the report. The papers also give an account of a meeting where the inspectors looking at Haringey were told they should delete e-mails referring to either Baby Peter or Haringey. That order was reversed the same day, the documents indicate. A senior inspector present at the meeting made a hand-written note about the instruction and marked it "urgent". Her submission to the court said the meeting was told the order was due to "on-going concern about the security of e-mail correspondence". The instruction had come from an Ofsted official not on the inspection team. Ofsted said it stood by the inspection and the team. In a statement, the organisation said: "This was a strong and robust inspection. "Ofsted inspectors found that arrangements for safeguarding children and young people in Haringey in November 2008 were inadequate; this meant vulnerable children were at risk when they should have been protected. "At no point in this court action has anyone questioned the validity of that finding." It adds: "The central concerns in the final version of the inspection report are also clearly in the first draft - in 2008 safeguarding arrangements for children in Haringey were inadequate. "It is our normal practice that reports are drafted, edited and finalised." On the issue of the order to delete e-mails it says: "Ofsted's case is that it is unlikely that any evidence of substance has been lost given the request was given and retracted the same day. "An individual made an honest mistake and Ofsted is clear that this issue did not detract from the fairness of the process." The papers also include notes from a meeting at which Ofsted inspectors were told a senior civil servant wanted the report to be "clear in its judgements and attribution of responsibility" and that there needed to be "definitive evidence on which the minister can act". In his submissions to the judicial review, Children's Secretary Ed Balls said: "There can be no suggestion but that the JAR [Joint Area Review on child protection in Haringey] was independent and acted at all times as such - no political interference with process, or conclusions, is or could be alleged". This has been a very drawn-out judicial review, which began in October. The judge had to delay his judgement after these documents were discovered by Ofsted. They include 17 drafts of the damning report into Haringey's child protection. Sharon Shoesmith's lawyers claim the final report has been changed to be much more critical. Ofsted denies that, it says this was a strong and robust inspection and that the report was not about Sharon Shoesmith. The judge is now weighing up the arguments, he's expected to deliver his judgement sometime after Easter. In an interview on Thursday, Mr Balls said he would handle the matter in the same way again. The judge hearing the judicial review into Ms Shoesmith's case ordered the papers to be released after an application from media organisations, including the BBC. Ms Shoesmith is taking action against Mr Balls, Ofsted and Haringey Council over her dismissal. Mr Balls had sent the Ofsted inspectors into Haringey in November 2008 after the trial of those responsible for the death of 17-month-old Baby Peter Connelly. They were conducting an emergency review of child protection. 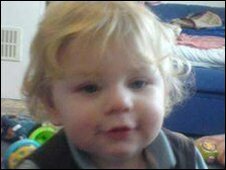 Baby Peter's mother, Tracey Connelly, 28, her partner Steven Barker, 33, and Barker's brother Jason Owen, 37, were all jailed for their part in his death. The three were all convicted of causing or allowing Peter's death. The child was found dead in his cot at his home in Haringey in August 2007. He had more than 50 injuries, including fractured ribs and a broken back.